Are you thinking of entering the Russian metalworking market with your hi-tech products – equipment, tools or accessories? Are you looking for an experienced, reliable partner in Russia with a wide customer network? Do you want to strengthen sales and service support for your Russian clients? Would you like to ensure the long-term success of your brand or subsidiary on the Russian market? In all these cases, you can rely on CEPR’s experience and make use of its services and solutions for your business projects in Russia. 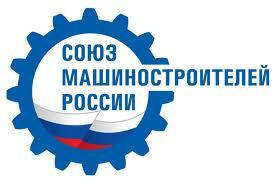 The Centre for Effective Production Realisation (CEPR) is a competent engineering centre and supplier of European equipment, accessories and hi-tech solutions to metalworking companies on the Russian market. Since 2009, we have accumulated solid experience working as a partner, an exclusive representative and a competence centre for a number of German manufacturers in Russia. Our facilities in Moscow and Novosibirsk include company-owned warehouses, showrooms and training centres. Our professional team ensures stable turnover growth, efficient marketing and after-sales support for our partners’ products. Get acquainted with our services and projects. Learn more about how we can contribute to your success on the Russian market!